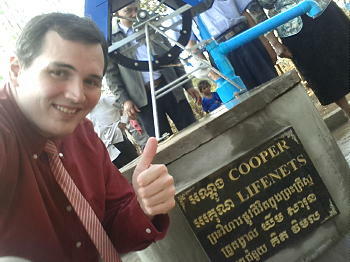 LifeNets Well in Cambodia Completed! 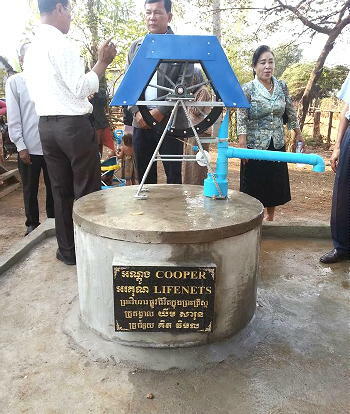 We are happy to announce that a borehole that was asked for and prayed for in Srok Village, Lpeak Commune, Kampoung Seam, Kampong Cham has been completed in early January. Equipment had to brought in from the capital Phnom Penh about three hours drive to drill it. The dedication was held on January 16, 2016. Srok is a village of about 350 families who had no source of water due to being in the hills. 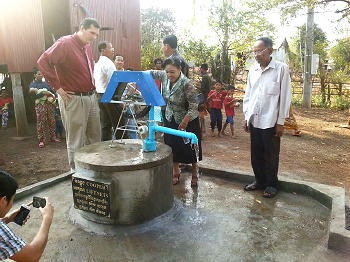 The current well will serve 60 of these people. LifeNets Australia contributed $1500 towards the borehole which was the majority of the $2000 needed. 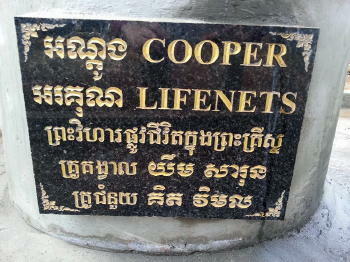 We are thankful for their generosity and their desire to help particularly in Cambodia which is a first for LifeNets. LifeNets is always pleased to do boreholes as they provide water, LIFE to a community and many are benefited. The depth of the well is 35 meters which is 115 feet. It is a borehole, not hand dug. It is lined by inserting rubber tube to water source. There is no need for special machine to draw water for use, costly to the villagers. There will be a training course to the villager to know how to care for this well so it can be used by all and completely self-sustainable. One reason that we can do a project like this quickly and reliably is because we have reliable people on the ground who carry the project through from start to finish and ensure that all our funding goes directly to the project. 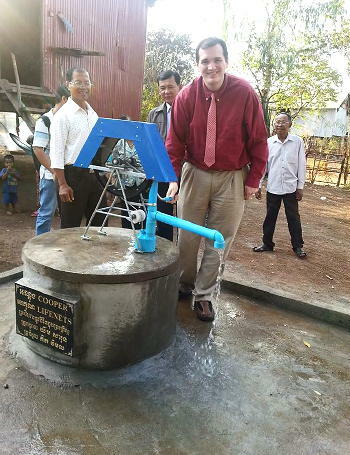 Our contact in Cambodia is Ryan Cooper, a member of the United Church of God who lives in Phnom Penh. He has worked several years now in Thailand and now lives in Cambodia and has a special love for these people. Ryan is from Terre Haute, Indiana and that where I became acquainted with him. He says, "I also have a vested interest and desire as I see the poverty in Cambodia on a daily occurrence in Phnom Penh. The countryside is much more poorer than in the capital. In fact, I think the capital is the only place to have a movie theater and mall in the country." Please be sure to view the video of the dedication ceremonies at the end of this post.